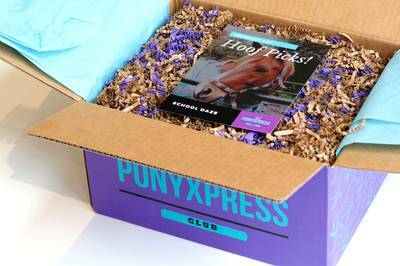 Enter your email address below to receive a notification when Pony Xpress Club starts accepting new sign-ups! Enter your email address below to receive a notification when Pony Xpress Club is accepting new sign-ups again. Monthly delivery of horse and pony themed toys, books and/or accessories! Subscribe Today! Your first box will ship NEXT month! We ship in the third-week, every month! It's easy! For example, if you place an order in January, then your first box will ship in February. Giddy Up! For horse crazy kids! (Psst! some adults) Giddyup! Pony Size box has 3 to 5 full-size items! Whinny! Horse Size box has 5 to 8 full-size items! Canter resist! For any little girl or boy that loves ponys should get this box !! My 13 year old horse-crazy girl loves this box. It is a perfect blend of horse-themed crafts and activities and books. I was worried it would be too young for her but that is not the case at all. She even loves the bright purple box it comes in, which includes a personalized newsletter and note. It makes her feel special every month. The cost is definitely not too high for all of what is included. It does not feel cheap or thrown together at all. 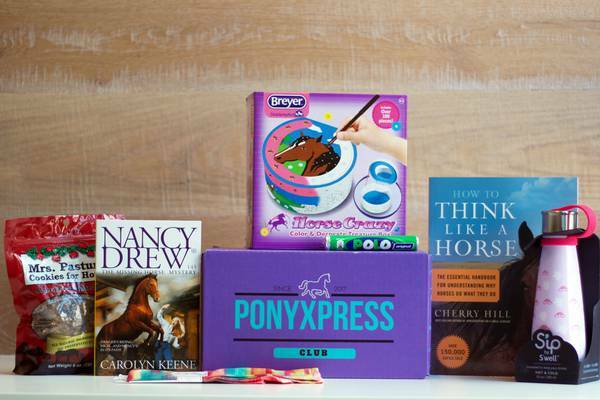 My 10 year old looks forward to receiving her Pony Xpress crate each month. The contents are thoughtful and beautifully wrapped with a personal note explaining why the contents of the box were selected. We recently upgraded from the "Pony" to the "Horse" crate because she loves the contents so much. 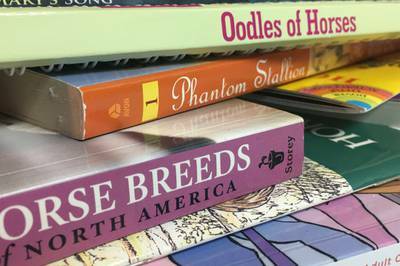 Past boxes include a horse activity book, a miniature Breyer horse, a bracelet, and horse related books appropriate for tween readers. This is a great purchase.